Reports on the London premiere of Madonna’s W.E. According to British designer Matthew Williamson, Madonna is still “untouchable”. She’s such a loyal person. I’ve known her for over 15 years. We haven’t worked together, but I know her well socially. She supported me at the beginning of my career, so I’m here to support her too. On a personal level, she’s everything you would expect. She’s so down to earth. 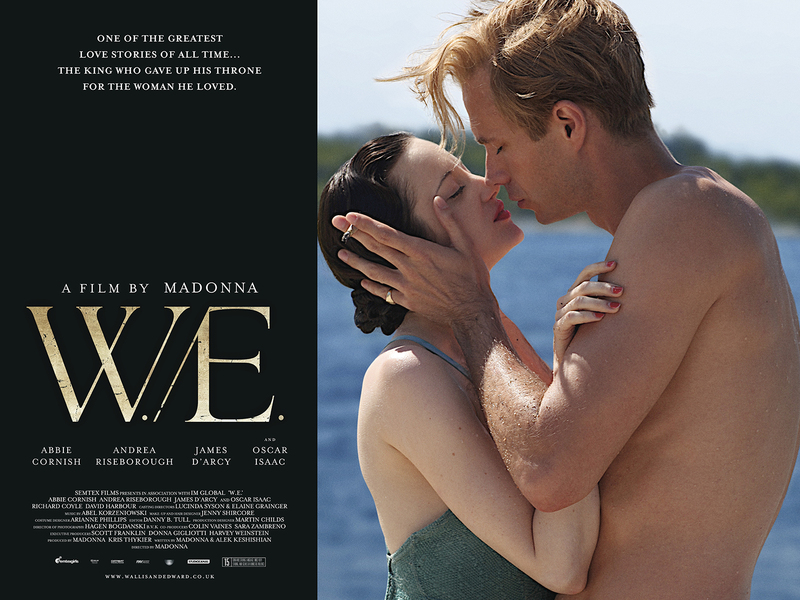 It was the premiere of Madonna’s directorial effort, W.E., in London last night. I feel British by association now – you are what you hang around with. One always wants to fit wherever they are, it’s nice for people to be so welcoming. This movie shows that there is no such thing as perfect love, that all love requires compromise or sacrifice. The other thing is that nothing is as it seems. You can look from the outside and think it’s one thing but once you start investigating, it’s something completely different. It’s like a human being. What you thought of them on the first day is not what you think of them a year later. There aren’t that many films about strong women – and made by a strong female director as well. I felt it was rather an honour to be part of that endeavour. Because Madonna is not on very friendly terms with the word ‘no’, what happens is that reality starts to bend. You do things you didn’t believe you were capable of and that is very exciting. What’s really inspiring about Madonna is she helps you park the fear. She doesn’t pay any attention to it in her own life and she won’t let you either. So you just do the thing that seems impossible and then it becomes possible. She expects a lot – but most directors do. There aren’t that many films about strong women – and made by a strong female director as well. I felt it was rather an honour to be part of that endeavour.